Starting a small business can be a rewarding, yet scary experience. One of the most important decisions that small business owners face is what forms of payment to accept. These days, it’s hard to find stores that do not offer credit cards as a method of payment. In fact, not offering this method may actually cause a loss in business as many people no longer carry cash. Offering your customers the convenience of credit card payments is not a difficult goal to achieve if you are willing to invest time and a small processing fee. Many companies, regardless of whether your business is at a physical location or online, will ask that you apply for their credit card processing service. Some of the criteria that these companies look for vary, but may include checking your (or the business's) credit rating or yearly revenue. These factors will also determine how much they will charge you in fees per transaction. Be prepared to have a Business Tax ID number as well. You can apply for one on the IRS website. Depending on the payment processor that you choose, there may be a monthly fee in addition to the transaction fees. If your business is online, you will have to choose a company that offers shopping cart features or purchase buttons that will work with your payment processor. Certain merchant account providers, such as PayPal, offer both while giving business owners the ability to customize the buttons to fit their online store. Decide which cards you will accept. Each credit card charges a different dollar amount in fees which may cause you to accept one type of credit card over another. Research the fees from each credit card company in addition to fees charged by processing companies, based on the best estimate of revenue that you expect to receive. 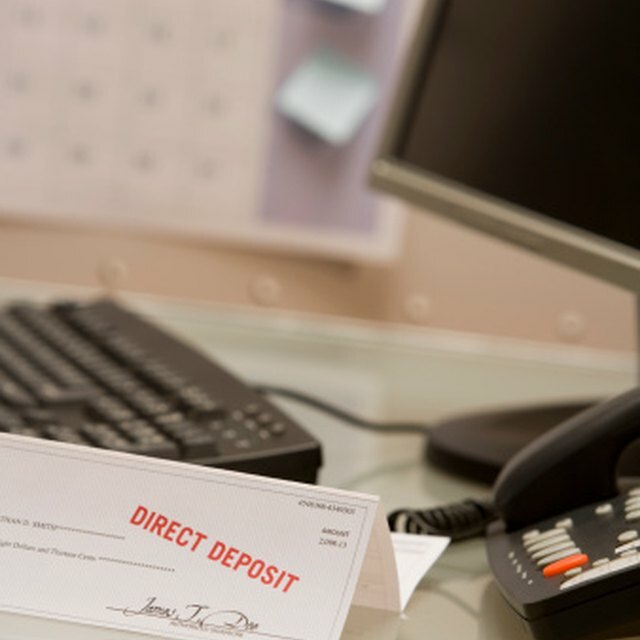 Another thing to consider is how often the money collected is disbursed to your business checking account and if any amount is held for possible refunds or disputed transactions. Purchase a terminal (credit card machine). There are a large number of styles to choose from depending on your specific needs. Online businesses will process orders and payments through their shopping cart features. Some processing companies offer a virtual terminal, which is an online system to key in credit card information to accept immediate payment. Begin accepting credit card payments from your customers. Be sure to display logos of your accepted forms of payment, including the types of credit cards that you are able to accept. Do your homework on the different payment processors on the market. Pay close attention to their requirements and what fees that they charge. Some companies may charge more per transaction than others, which may be bad for your business if you are spending too much unnecessarily. Other company fees may seem too good to be true, but then their service goes offline so much to where you cannot accept credit cards at your store. Either way, it's bad for business. If you are accepting credit card payments online, be sure to check that payments are made securely. This can be done by checking to see that the payment page's URL begins with https://. The "s" at the end indicates a secured page and ensures that your customer's information is protected. Based in Phoenix, Arizona, Shae Freeman has been freelancing professionally since 2005. Her writing specializes in health care and rare diseases. Freeman enjoys a loyal readership who follow her blogs and an online magazine she created called Urban ELITE. She is a professionally certified Emergency Medical Technician, currently working on her paramedic certification.